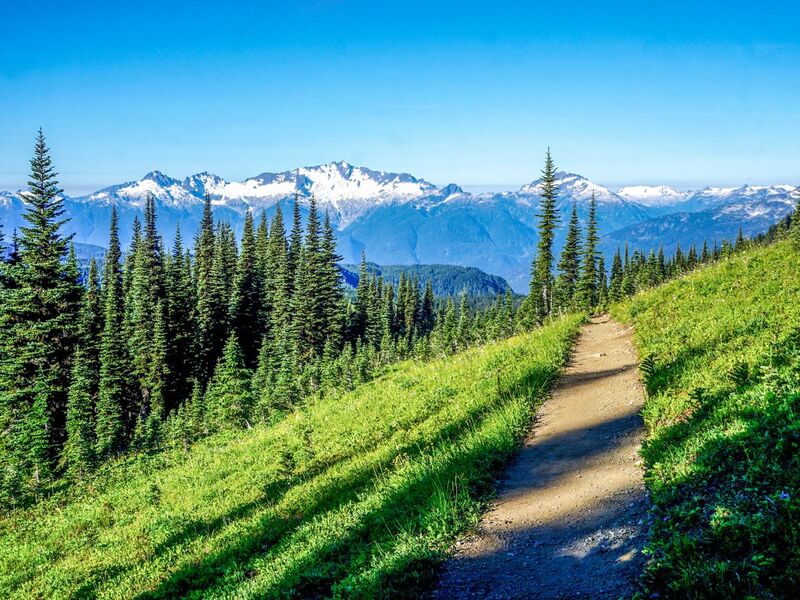 The trail up to the base of Black Tusk takes you to an iconic mountain in the Whistler region. 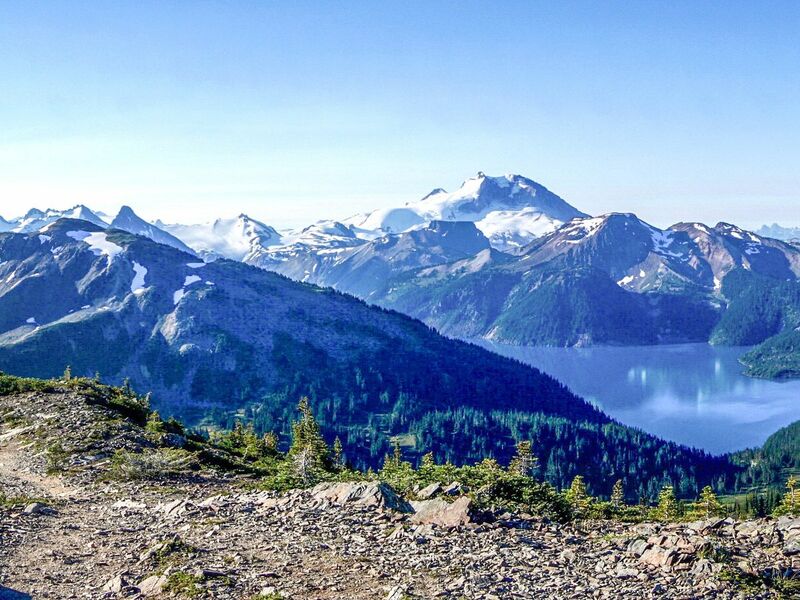 The hike is a long one, but rewarding, with incredible views into Garibaldi Provincial Park and down to Garibaldi Lake. Drive south along the Sea to Sky Highway for 25.0km. Turn left onto Daisy Lake Rd., with a sign for the Black Tusk turnoff for Garibaldi Provincial Park. This narrow road leads up nearly 3.0km to the trailhead. There is limited parking, especially on weekends. Cars can be backed up nearly all the way down this road, so make sure you get here early! The first 7.0km of the trail is a climb through the forest. This wide, extremely well marked path gains nearly 1000m, switch backing all the way up. 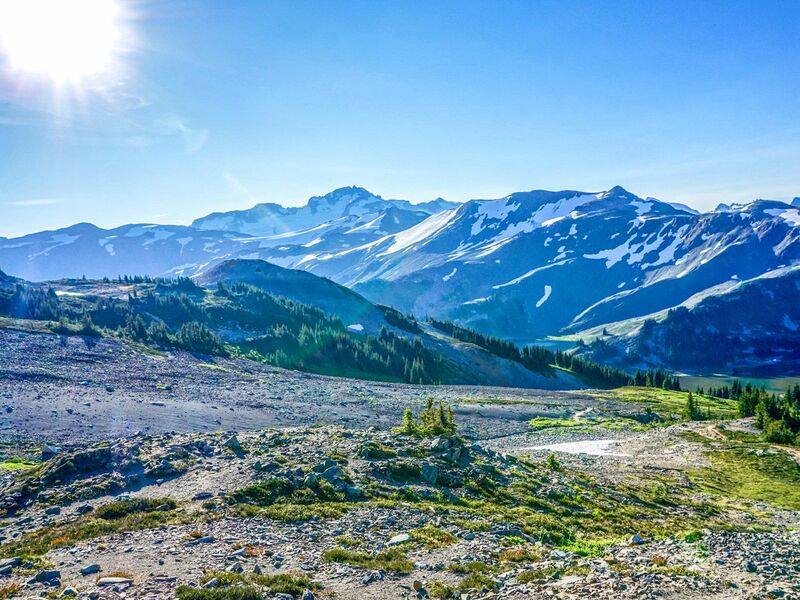 You will approach a junction, showing the Taylor Meadows campground to the left and the trail to the Garibaldi Lake campground to the right. 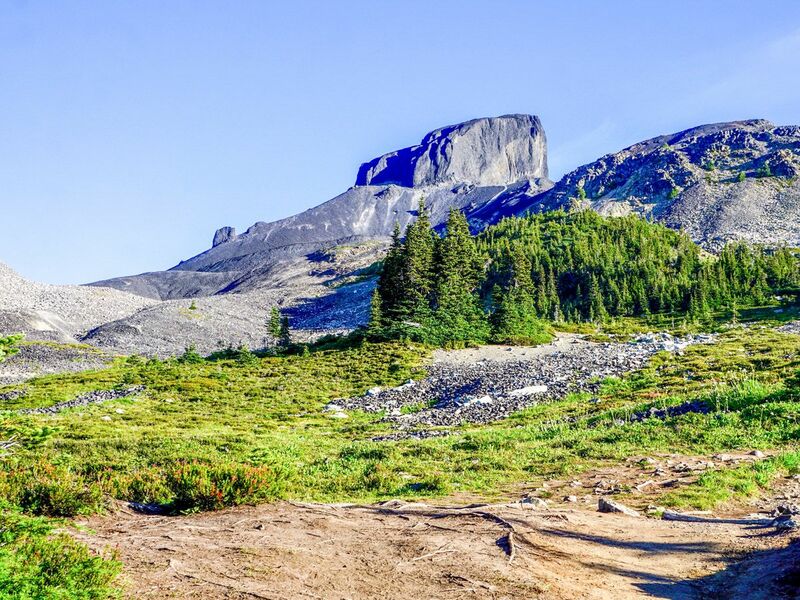 We advise going through the Taylor Meadows campground, as the grassy meadows yield fantastic views up to Black Tusk. From here on out the trail remains quite level for several kilometers. Hang a left at all the next junctions and follow the signs towards Black Tusk. 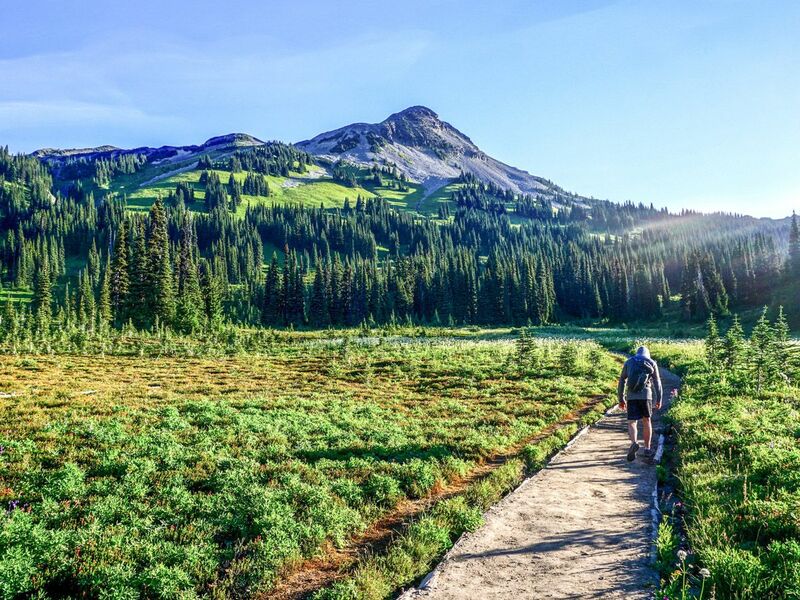 You will meander through a stunning alpine meadow, with views over to Panorama Ridge, a gurgling stream, and lush wildflowers. Trees are scattered, so remember the sunscreen! You will reach a junction that turns you left towards Black Tusk. Now the second climb begins. This trail quickly leaves all trees behind as it climbs up towards the famous and beautiful Black Tusk. 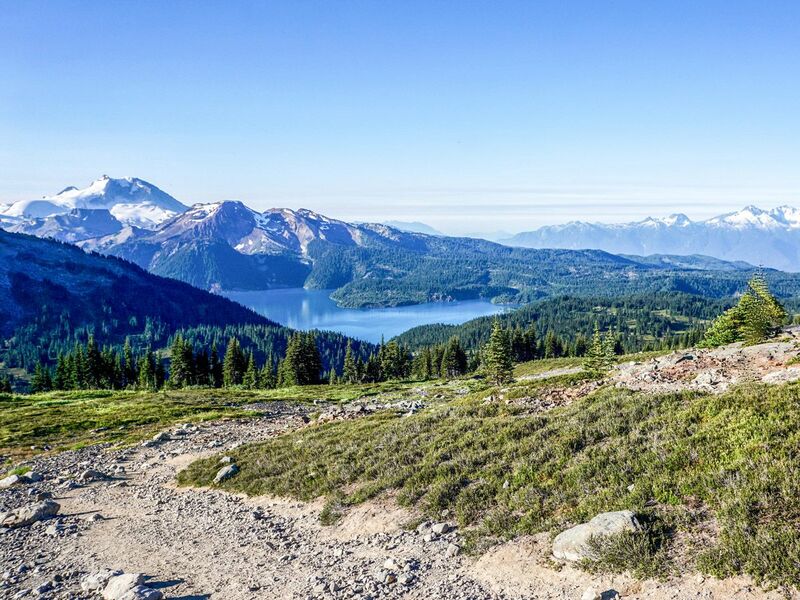 You’ll be granted fantastic views across the grassy plain to Panorama Ridge and Garibaldi Lake (other hikes in the region). In the distance behind them are the famously beautiful Coast Mountains, with the huge Sphinx Glacier sitting placidly on top. Soon you will reach a sign that marks the end of the official trail. From here there will be awesome views. Some people climb to the top of the tusk, however that is extremely dangerous. Loose rock and difficult climbing make it inadvisable. You can continue a short ways up to get closer to the tusk, however the views of Garibaldi Park remain primarily the same. Take extreme care returning as the trail is very steep and your will be very tired. Do not be convinced by others to climb the tusk – it's dangerous and should only be attempted by experienced climbers with suitable equipment.  A great option is to backpack and camp at Taylor Meadows. 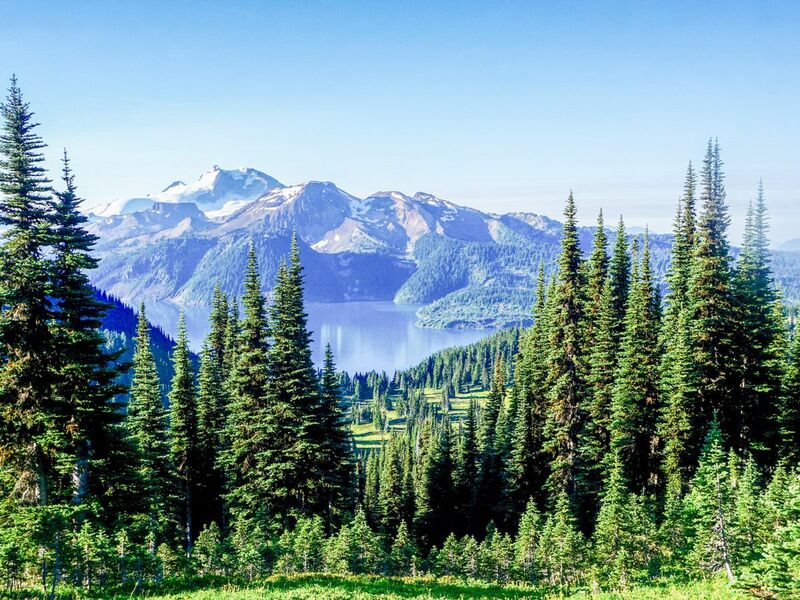 This lets you hike on a 2-day trip or extend a few days and also see Panorama Ridge and Garibaldi Lake.